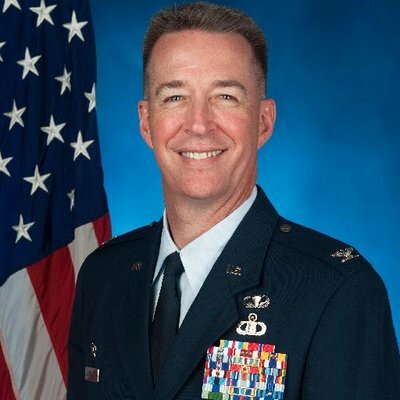 Colonel Brian R. Bruckbauer, U.S. Air Force, served as the commander of the Joint Base Elmendorf-Richardson and 673d Air Base Wing in Alaska where he was responsible for 5,500 personnel, $11.4B in infrastructure, and support to over 35,000 throughout Alaska. Previously he was the military assistant to the under secretary of defense for policy. Colonel Bruckbauer holds a BA from the University of St. Thomas, an MA from the George Washington University, an MS from the College of Naval Command and Staff, and an MS from the National War College.